Its objective was to expand and add other Islamic institutions with the growing demand and needs of the community, a mosque for worship, an Imam in residence and establish a dialog with interfaith groups. The financing these programs is met from community donations and fund -raising functions. The Chester Avenue building was a light industrial two -storey structure and was purchased in 1979.The building after renovations was converted into a mosque, a community centre and an Elementary School. There is a main mosque hall, a conference room, manager's office and washrooms. At the moment, fully functional mosque is operational, a full time Imam, a scholar in residence, a full time primary and secondary school is operational, established in 1985, financial institution providing Sharia compliant financing since 1991 for purchase of house, community center providing information and helping new immigrants. Participate in interfaith dialog. The school started functioning (Kindergarten and Grade I) in September 1985. In the beginning, it was completely funded privately. Later the school received Provincial recognition of the Ministry of Education. 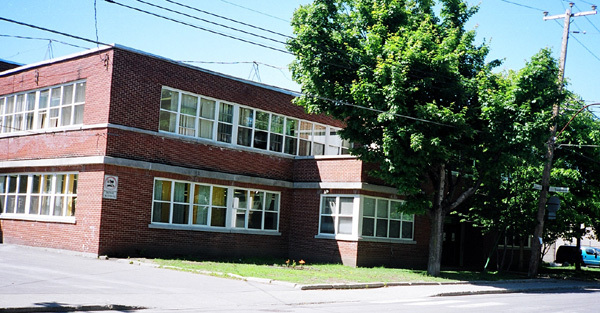 The Muslim Schools of Montreal expanded in 1989 to Secondary Level. Presently there are 180 students (boys and girls) in the Elementary School and 100 students in the Secondary School. Administration of MCQ is entrusted to a Council of Trustees, comprising of twenty five members. They are selected on the basis of service to the community and dedication. The President and the Imam must be members of the Council. The Executive is nominated by the Council from its members as follows: President, Secretary, members for Education, Finances, Media, Publications and Da'awa work. Da'awa work, simply translated, means inviting people to Islam. Day to day business is carried out by an Office Manager (appointed) who is under the direction of the Council. Women are equal partners in decision making. A number of women are members of the Council of Trustees. The Imam is the religious leader. He leads most of the daily prayers and Salatul Jumu'a (Friday Prayer) with Khutba (address/sermon). During the week, he conducts Quranic discourse and Seminars. He also takes part in Inter-faith dialogue. It is obligatory for Muslims to offer five daily prayers to Allah - Fajar (predawn), Dhur (noon), Asar (afternoon), Maghrib (sunset), Isha (evening). Exact times of prayers change with the season. Each prayer takes an average of five to fifteen minutes to complete. It is preferable to offer daily prayers in congregation in one's own home or with a group of people who gather for prayers in one's neighbourhood and if possible in a nearby mosque. Friday prayer is conducted in congregation with Imam's Khutba (address) in English and Arabic simultaneously. This is very desirable as both young and old of any ethnic background can understand the message. Weekend Arabic and Islamic School: Its name is Madersa - Al Salam. One hundred students attend this school consisting of Boys and Girls between the ages of 6 to 12 years. Sister Maissa is Director and responsible for this Arabic school. This is in addition to the regular Muslim Schools. Muslim Girls Scouts Program: Approximately 39 girls participate every Friday evening. Sister Safia conducts the program. Adult Education programs in English and French and other skills like computer operation. MCQ is licensed by Government of Quebec to perform and register weddings according to Sharia (Islamic Law). Messrs Ramizuddin and Imam are responsible for this program. For an appointment, please call 514-484-2967 or Fax 514-486-3802. MCQ participates in interfaith conferences in Canada. Imam is responsible for this program. Organizes and maintains Prayer area at Pierre Elliot Trudeau International Airport (Dorval airport). And obey Allah and his apostle.